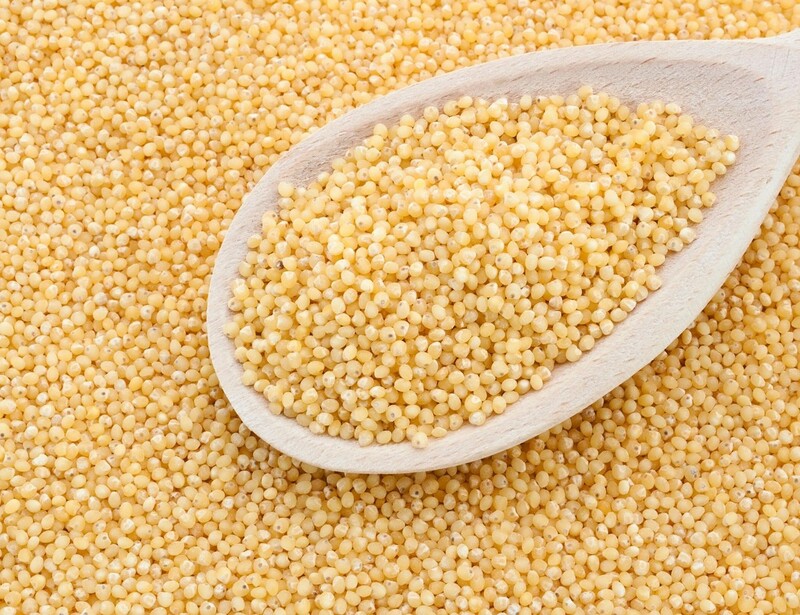 Millet is wonderfully nutritious and a good source of protein, essential amino acids and dietary fiber. Millet is also an excellent source of manganese, phosphorus and magnesium. Unlike most other grains, this versatile, gluten free grain is alkaline, which makes it easy to digest and helps balance the body’s natural tendency towards acidity. Our Millet hulled has a light, mild flavor, making it perfect for sweet or savory baking. It lends a delicate cake-like crumb to your baked goods. Replace up to 25% of the flour in your recipe with millet flour for added nutrition.